Established by Japanese designer Kenzo Takada, the label has become known for its bright and colorful, ethnic inspired prints and textures, as well as its world – known perfumes. To mark this event, Kenzo launches a series of collectible lower price items, such as T-shirts, handbags and turbans, and a new pair of limited edition fragrances for the autumn season of 2010. 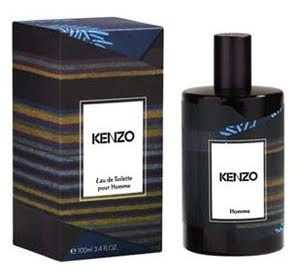 Kenzo Pour Homme Once Upon A Time ($72) is an intense and refreshing woody - spicy composition, consisting of nutmeg, ginger, coriander and vetiver notes. The male edition comes in a black bottle with a dark colored print. 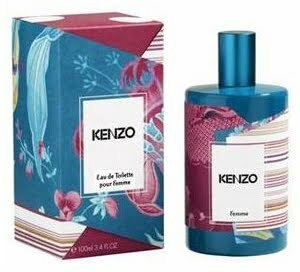 Kenzo Pour Femme Once Upon A Time ($72) is an explosion of floral notes of magnolia, rose, peony and freesia, laid on the earthy base of amber, sandalwood and musk. The fragrance is packed in a colorful printed bottle of bright pink and light blue. It is available as 100 ml EDT, limited edition. The noses behind this fragrance are Christine Nagel and Benoist Lapouza. These scents will be released October 2010!